It's a chance to travel through time as it never was before when the Goulburn Historic Waterworks host its annual Steampunk Victoriana Fair. The retro-futuristic fair will have music and dance with the opportunity to dress up in the genre that melds the classical Victorian era with industrial progress (and all things powered by steam). There will of course be steam engines along with horse and carriage and little train rides. Along with an array of food and market stalls there will be Penny Farthings, Tea and Parasol Duels, Kids Archery and Traditional Games. 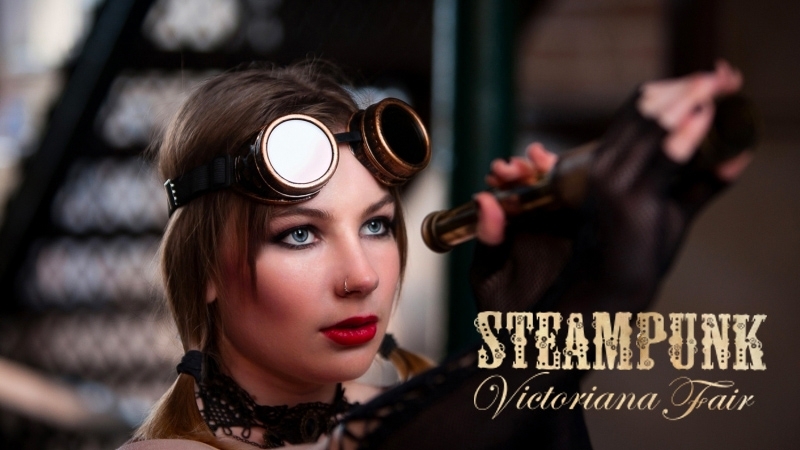 The Steampunk Victoriana Fair will see an influx of characters wandering the grounds - complementing the Goulburn Historic Waterworks architecture and aesthetic - where you can tour the building and the engines it houses. Tour Guides will be on hand to answer your questions. The Costume Competition will be held on the Saturday with the Inventions Competition on the Sunday. SUNDAY will be a FAMILY FUN DAY with additional activities including "Melodia"- an interactive musical journey, roving entertainment including a stilt walker, magician, Dangerboy and more. There will also be free face painting from 10am-12pm. Two Day Pass: $16.50, Children under 16 free. All tickets purchased online for admission to the event on Saturday or Sunday have the opportunity to go in the draw to win a $600 gift voucher donated by Gallery Serpentine. To be eligible you must give permission for your email address to be passed onto Gallery Serpentine by the organisers. Your details will not be forwarded to any other third party.